With an estimated 2.5 billion people tuning in, Princess Diana’s funeral on September 6, 1997 was one of the biggest televised events in history. Many would have heard John Tavener’s Song for Athene for the first time as the flag-draped casket of the late Diana, Princess of Wales, was carried out of Westminster Abbey, destined to its final resting place at Althorp, north of London. Song for Athene was written in April 1993 by Tavener as a tribute to Athene Hariades, a young half-Greek actress who was a family friend killed in a cycling accident. 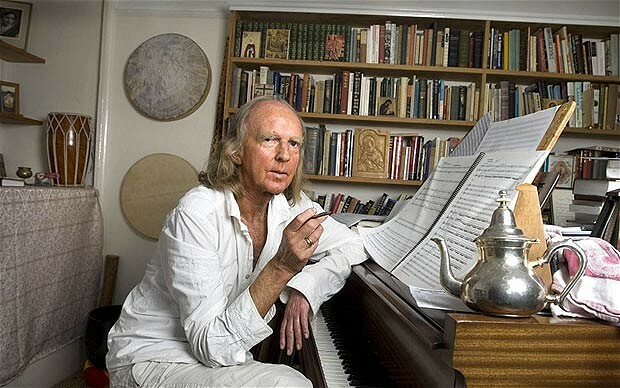 Tavener wrote of his late friend that, “her beauty, both outward and inner, was reflected in her love of acting, poetry, music and of the Orthodox Church.” He had heard Athene reading Shakespeare in Westminster Abbey and conceived the piece after her funeral. The words are taken from both the funeral service of the Eastern Orthodox Church and from Shakespeare’s Hamlet with the Hebrew word alleluia (“let us praise the Lord”) sung monophonically while the piece unfolds over a continuous drone. Remember me O Lord, when you come into your kingdom. Give rest O Lord to your handmaid, who has fallen asleep. The Choir of Saints have found the well-spring of life and door of paradise. Life a shadow and a dream. Weeping at the grave creates the song Alleluia. Come, enjoy rewards and crowns I have prepared for you. Vancouver Cantata Singers will perform Song for Athene, Howell’s Requiem and other choral works that explore themes of grief, loss, and consolation in our season opening performance, Threnody: Requiem and Remembrance. We invite you to listen and explore this sublime music together on Saturday, November 10th at Christ Church Cathedral.